One thing I’m discovering about myself is while I do know what products my hair likes, I love trying new things. Every time I turn around there’s a blog post, YouTube video or television ad luring me in to try some new hair care or makeup line. So, it’s really not my fault that I have to share what I’m about to share. A few weeks ago I read a blog post over at Confessions of a Blog Vixen. 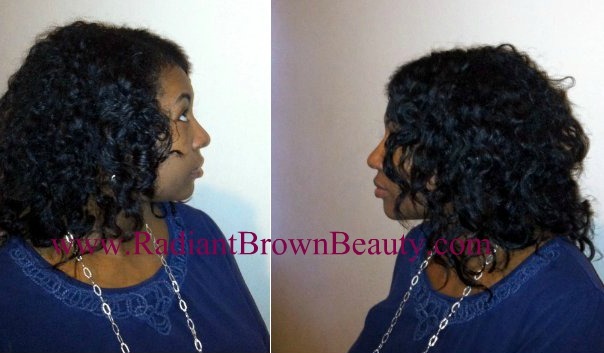 The blogger, known as WestNDNBeauty shared her review of some of the hair care products in the B.A.S.K. Beauty line. She said she tried them because while she loved using the Cocoa Tree Detangling Ghee by Quemet Biologics, the online store has been closed for some time now. Now, I have to say Miss WestNDNBeauty gets some seriously defined twist outs and I always love how shiny her hair looks. So, I bit. I took a trip on over to the B.A.S.K. (the acronym stands for Beauty Assortment for the Sun Kissed) online store to pick up some of their goodies. I have to confess. I spent a good half hour on the site because there was so much there that I wanted to buy. The names of the hair products are so luscious and the product reviews made it even more difficult to choose! But, I did, and in an effort not to go broke, I settled on two – the Citrus Rind scented Sevenfold Butter Blend Hair Butter and the Nectarine Vanilla scented Silk & Honey Latte Detangling Hair Milk (told you these sound yummy!). My hair is not as defined as I would have liked but I did this on dirty hair that was in desperate need of a washing. What I did like is how full my hair came out and it was uber-soft! Also, notice my hair is a bit shorter. That’s because I took a couple inches off a few weeks ago. Every 3 months or so I’m going to trim away at my longest length until the shortest length catches up. This butter is smooth and decadent. It literally melts into your hair without leaving a greasy residue. “Silk and Honey Latte Detangling Hair Milk quenches thirsty curls using unrefined raw honey & conditioner – but to also detangle dry tresses with emollient babassu & castor seed oils. These two products pair so well together. The hair butter is just luscious. It smells delicious. It’s light and non-greasy (assuming you don’t OD on it…which is hard if you’re not careful). The hair milk creates a little bit of a slip to detangle the hair while also making it smell delicious. So, delicious in fact when I was applying it to my hair my husband thought I was eating candy that I was hiding from him! 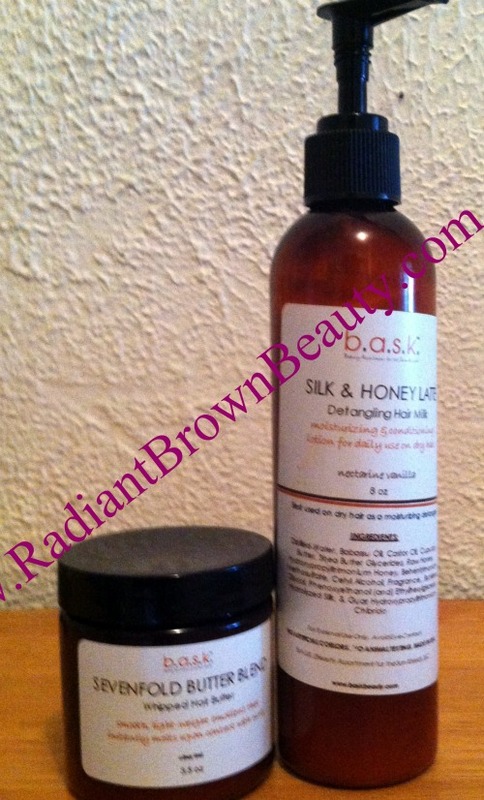 Have you ever tried any of the products in the B.A.S.K. hair line? If not, it’s time to get up on it.